Manage the BMX as if it were an extension of your own body, if you do it for sure you proclaimed champion of the champions. It is operated with the cursors and to change direction the " ctrl. AtrÃ © ve to experience a new sensation driving bicycles and proclaim yourself champion in the BMX category. This fun game you can make from any device: Smartphone, tablet and PC. 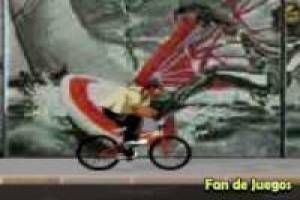 Go back and click on this game, drive your bike at maximum speed so that you consecrate yourself as the best. 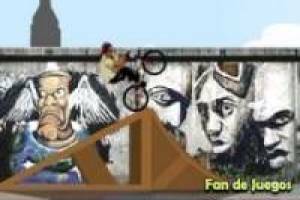 Enjoy the game BMX competition, it's free, it's one of our bikes games we've selected.